As the successor of the defunct Galaxy Note 7, Galaxy Note 8 (Samsung officially named it as Note8) brings many new features and improvements. These new features of Galaxy Note 8 differentiate Galaxy Note 8 from previous generations of Galaxy Note devices, and also from other Android phones you can buy. 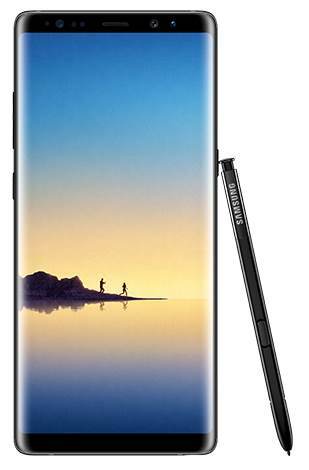 Even compared to this year’s flagship Galaxy S8 which was launched less than 6 months ago, Galaxy Note 8 offers considerable upgrade and new features. This post summarizes the most notable new features in Galaxy Note 8 you should try. These top 8 new features of Galaxy Note 8 are also the important factors that may help you decide whether Galaxy Note 8 is the right phone for you. You may also check the official Galaxy Note 8 user guide in your own language to know the phone better. Dual rear camera is not new. Many other Android phone manufacturers like LG and HTC offered dual cameras in their flagship phones for one or two years already. Even some iPhones (for example iPhone 7 Plus) have dual rear cameras. Optical image stabilization (OIS) for both of the rear cameras. All other vendors offer OIS only in one of the rear cameras. 2x optical zoom, in addition to digital zoom. This is the first Galaxy phones with optical zoom. Live focus. You can blur the background and focus on specific object. Photos taken with live focus can be modified by adjusting the level of background blur in the future. Dual capture. When live focus is on, you can take 2 pictures individually with the two cameras. Dual camera probably is one of the most useful and attractive new features of Galaxy Note 8. The infinity display may be not the cake for some Note users. But the bigger display is definitely an exciting feature of Galaxy Note 8.